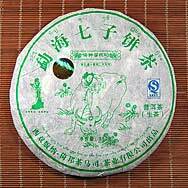 This is the raw Pu'er version of Yi Bang Cha Ma Si Tea Industry's Menghai Cha Pin Xi Lie Series of Tea Cakes. 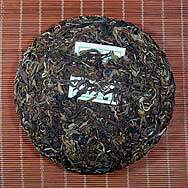 It is compressed using tea leaves harvested from the famous Menghai area. Also available in this series is the Menghai Shu Bing Cha (Cooked). 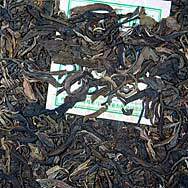 Menghai Sheng Bing Cha is Yi Bang Cha Ma Si Tea's flagship product.